RSVP now if you want to Meet Ban Ki-Moon Tuesday! Morning <<First Name>>, For those in NYC, we have a few tickets left for this year's annual gala - Maulik Pancholy even promoted the event on HuffPo! I hope you can make it - the young professional at-cost discount promo code is "YPEC". 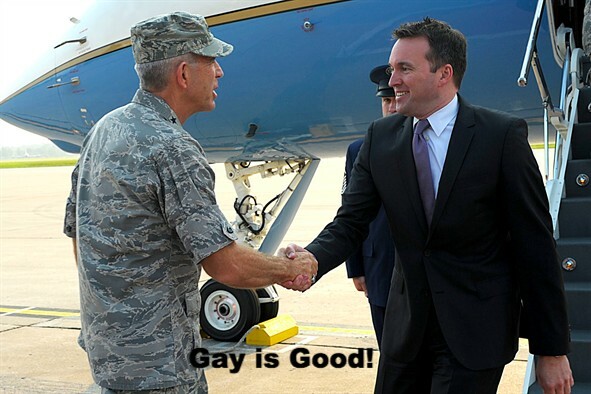 Nearly 60 years after the Civil Service Commission fired Frank Kameny for being gay, President Obama nominated openly gay Eric Fanning to become Secretary of the Army. 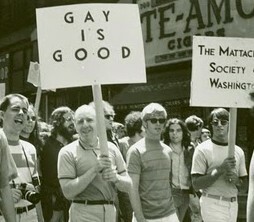 It's taken too long - but finally perhaps, Gay is indeed seen as Good, as he had hoped! 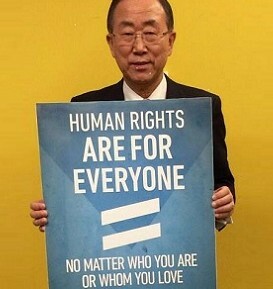 Tuesday the non-profit (soon to be) formerly known as IGLHRC will host a high-level panel at the UN with Sec Gen Ban Ki-Moon on LGBT inclusion. This is an exclusive invite for GAYography readers in NYC. RSVP now - space is limited. Folsom Street Fair. Or head south to Durham for NC Pride Saturday or hit up Space Coast Pride in Melbourne, Florida. Politically-minded? Attend the DNC's LGBT gala with the President Sunday. In Egypt authorities arrested 11 allegedly gay men in a pre-Eid holiday raid. Nepal's new constitution includes reference to protection of "sexual minorities". Outraveler interviews Syrian refugee Subhi Nahas on his persecution and testimony at the UN's first Security Council meeting on LGBTIQ rights. LGBTIQ activists and activists attended the US arrival ceremony for Pope Francis on the White House South Lawn. US Baseball legend Yogi Berra passed away this week. He was also known as a supporter of LGbTIQ rights as a recent supporter of Athlete Ally. Planning to travel to Greece this fall? Review Two Bad Tourists full guide to Athens! If you have yet to attend one of Jayson Littman's Hebro events, read on to find out why these can be some of NYC's best events. Need to find a gay club in Delhi? That Gay Backpacker found it for you! NYC. Meet LGBTIQ friends at the first of Colombia's SIPA Spectrum happy hours tonight at Suite. NYC. Looking for a job in NYC? Get a leg up (opps, not literally!) at the Center's LGBT Career Fair tomorrow. NYC. Give to LGBTIQ people everywhere by supporting the International Gay & Lesbian Human Rights Commission as we celebrate 25 years with a New York Harbor hybrid yacht cruise Monday September 28th! Need convincing? Take 30 Rock's Maulik Pancholy's advice! Upcoming! NYC. The Tectonic Theater Project is holding a benefit reading of Gross Indecency: The Three Trials of Oscar Wilde after the production was cancelled in Russia! Upcoming! DC. Interested in helping LGBTIQ asylum seekers find refuge here in the US? Attend the LGBT Freedom Asylum Network conference Oct 15-17. LAST CHANCE - Now $1000 Discount - Gay Italy, from Caesar to Michelangelo & Beyond, October 9-18.